Tokyo's hot and humid Summers have me sweating like a man-beast. Normally, I can go every other day to every two days between hair washes. But, with all the perpetual perspiration, I have no choice, but to wash it everyday. Therefore, I need to use products that will keep my hair in great condition. Paul Mitchell Lemon Sage Thickening Shampoo: the invigorating, summery scent of lemon and sage is perfect for the season. The shampoo lathers exceptionally well, and I love how it feels in my hair. After rinsing, my scalp feels refreshed, and the hair squeaky clean, moisturized, soft and fuller. Also, the shampoo is safe for color treated hair. 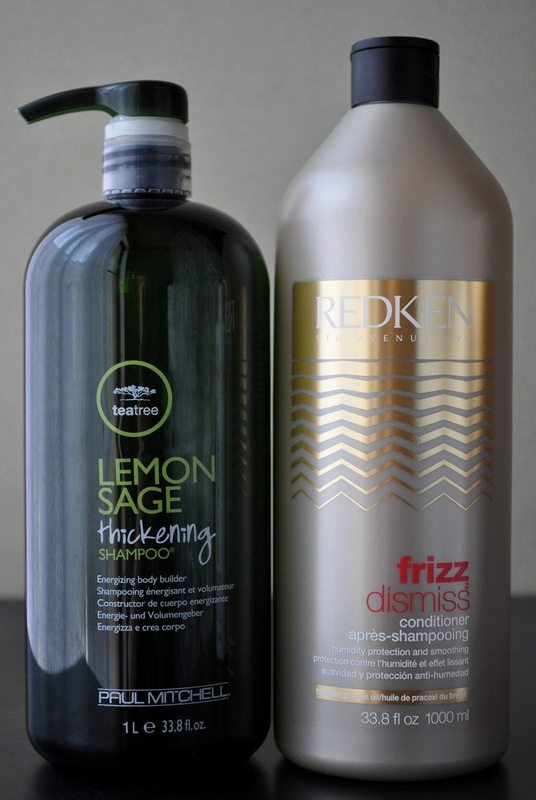 Redken Frizz Dismiss Conditioner: It's always humid in Tokyo, even during the Winter season. But, the humidity levels reach their zenith in Summer. So, I was really excited to try some products from the Frizz Dismiss line. 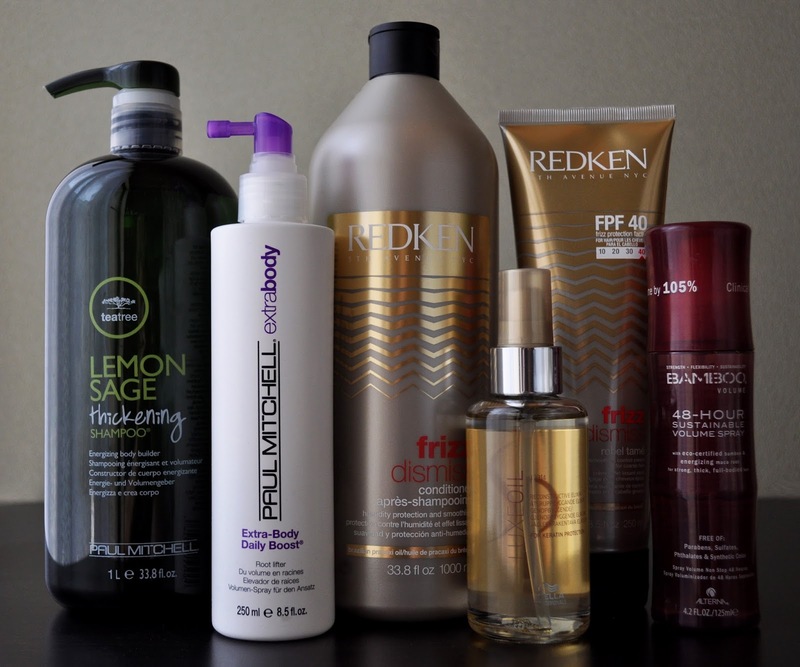 I find the consistency of Frizz Dismiss thicker than other Redken conditioners; It distributes well throughout the hair. I like to leave it on for about 3-5 minutes, and afterwards, my locks are tangle-free, moisturized (but not weighed down), soft and shiny. The conditioner does have a floral scent, but I can't pinpoint what it smells like. 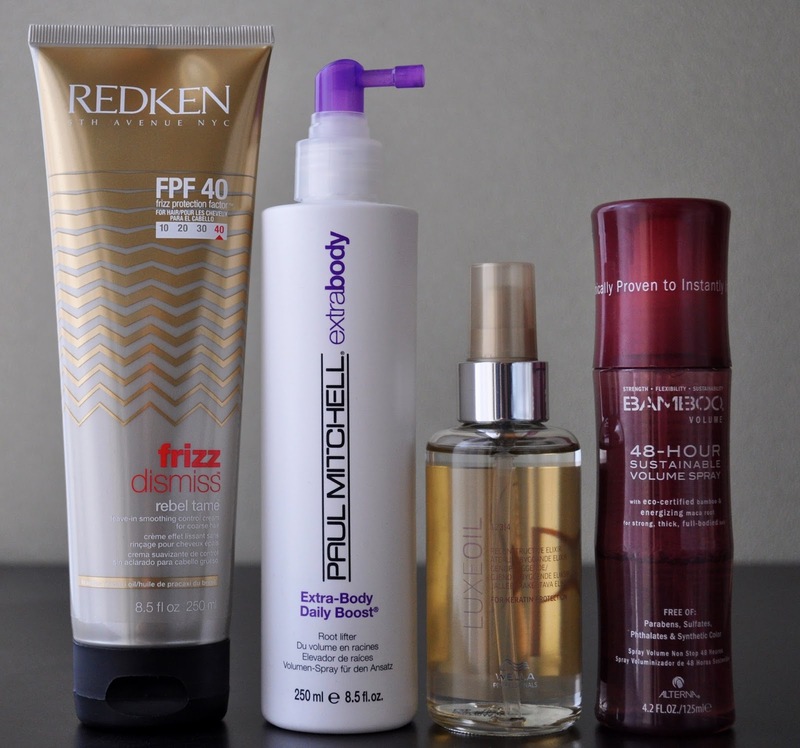 Redken Frizz Dismiss PFP 40 Rebel Tame: a humidity-resist complex, you say? When I'm home, my hair looks amazing! Not a frizz in sight. But, once I cross the sanctity of my habit, it's the elements beyond the door that wreck my Salon Selective moment. Anyway, the Rebel Tame is a lightweight, non-greasy, leave-in, heat-protectant, smoothing cream that contains Brazilian Pracaxi Oil (btw, so does the conditioner). I like to squeeze about a quarter size of the Rebel Tame into my palm and mix it with 4 pumps of the Wella SP Luxeoil Reconstructive Elixir. First, I apply the product from the mid-lengths to the ends and, then, work my way up to the roots. The product does a great job at smoothing out my tresses without weighing them down; thus, leaving it very soft, manageable, shiny, with almost no to minimal frizzing on days when the humidity level's are at 100. Paul Mitchell Extra-Body Daily Boost: With all the perpetration, my hair can go limp, and that's when Paul Mitchell Extra-Body Daily Boost saves the hair day. Before Applying the Redken Frizz Dismiss PFP 40 Rebel Tame and the Wella SP Luxeoil Reconstructive Elixir cocktail, I first spray the Daily Boost all over the roots. It does give all-day volume and lift to the roots minus any heaviness or stickiness. Wella SP Luxeoil Reconstructive Elixir: A new bottle for the season. I will NEVER be without this product, and it's an absolute must in the Summer. I spoke about this product last year. So, if you would like to read my thoughts, please read here. Alterna Bamboo Volume 48-Hour Sustainable Volume Spray: This is a repurchased product. I like to use Alterna's Bamboo Volume 48-Hour Sustainable Volume Spray to refresh my roots on day two, and hopefully day three. I think Alterna bit off more than they could chew with the 48-hour claim. However, in the mornings, I'm done with my hair around 6:00am, and by the time I get home which is about 10:30ish-11:00pm, the roots are still thick and voluminous. Just like the Paul Mitchell Extra-Body Daily Boost, the 48-Hour Sustainable Volume Spray keeps my roots, soft, and easy to comb, without any pull; never, sticky, stiff or crunchy. The combination of all these products keep my hair in great condition. Even after going blonde, it looks and feels healthy, smooth, soft, manageable with body and shine.